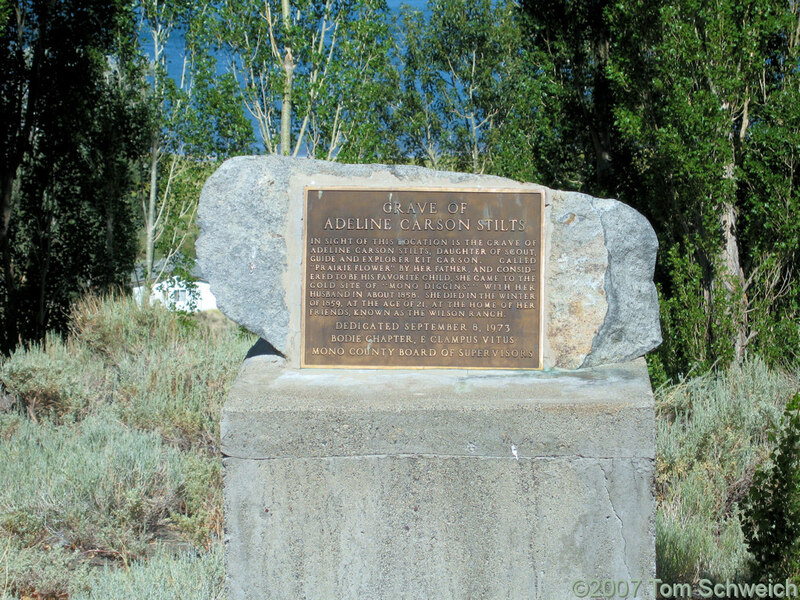 In sight of this location is the grave of Adeline Carson Stilts, daughter of scout, guide, and explorer Kit Carson. Called "Prairie Flower" by her father, and considered to be his favorite child, she came to the gold site of "Mono Diggins'" with her husband in about 1858. She died in the winter of 1859, at the age of 21, at the home of her friends, known as the Wilson Ranch. Field Notes: 24-Jun-07 on US Hwy 395. U. S. Highway 395: near Mono Inn.